Clemson's national championship football team went to the White House on Monday where President Donald Trump hosted them for winning the title. Trump had a bunch of burgers ready for them: Wendy's, McDonald's and Burger King. 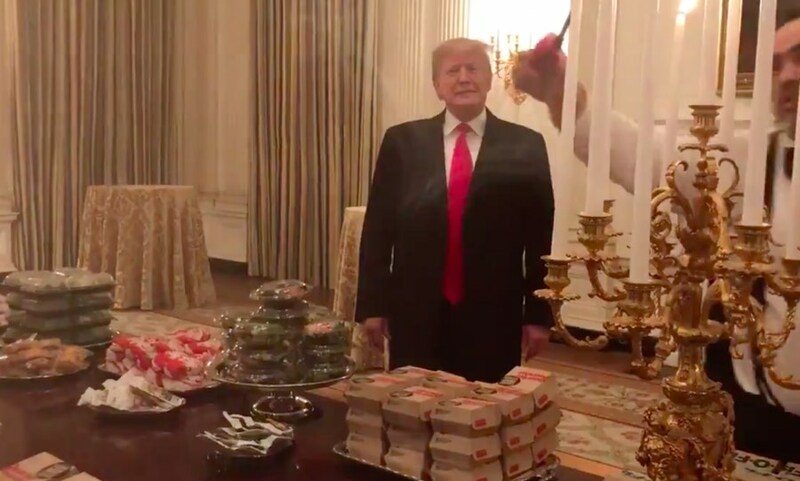 “Here’s a video I shot of President Trump showing off his 300 hamburgers.” Hunter Walker, White House Correspondent, Yahoo News.